by Linda Castro. Originally published on SCVNEWS.com. If you were to ask me where I would spend a perfect day, I would immediately say the California desert. It wasn’t always that way. As a child, before I moved to California, the only perception I had of the desert was that it was sandy, windy, and full of tumbleweeds blowing around. My idea of hiking and camping was somewhere in a forest, which is all I knew in the places I had previously lived. The trees were great, but the threat of mosquitoes and bears – not so much. Once I moved to the Golden State, I fell in love with exploring the desert and sleeping under a brilliant display of stars, awed by the vast, open space where the quiet is broken only by the eerie hoot of an owl or the yips of coyotes answering each other across the canyons. Silurian Valley, north of Baker, is especially near and dear to my heart. With its incredible vistas, brilliantly colored mountains and even nearby sand dunes thrown in for good measure, there is no place quite like it. 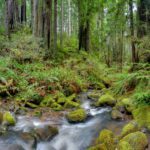 It’s important to Native Americans, too, who still use some of the ancient trails that were created thousands of years ago. Another example is the Amargosa River Basin, which runs east of Death Valley National Park through Tecopa and Shoshone. I always enjoy visiting China Ranch Date Farm where I hike along the Amargosa and then enjoy a refreshing date shake. The Amargosa River Basin contains one of the two largest assemblages of endemic and rare species in North America. The critically endangered Amargosa vole also makes the marshes in this basin home. That’s why I was pleased when, two years ago, after years of collaboration and cooperation with many interests and stakeholder groups, the Bureau of Land Management issued an historic and far-reaching decision that balanced conservation, recreation, and renewable energy development across a sweeping area of the fragile California desert. The Desert Renewable Energy Conservation Plan permanently protected more than 4 million acres of some of the desert’s most ecologically and culturally important landscapes – both to offset the impacts of encouraging as much as 388,000 acres of energy development outside of this area, and to follow a directive from Congress to designate additional California lands to be included in a network of safeguarded “National Conservation Lands” in the region. Some of the places that the renewable energy plan included in that network were Mayan Peak, Afton Canyon, Amboy Crater, Silurian Valley, and the Amargosa River Basin. 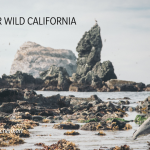 This landmark plan involved more than 14,000 public comments, dozens of meetings, several drafts, and the collaboration of many diverse interests including the state of California and the federal government. 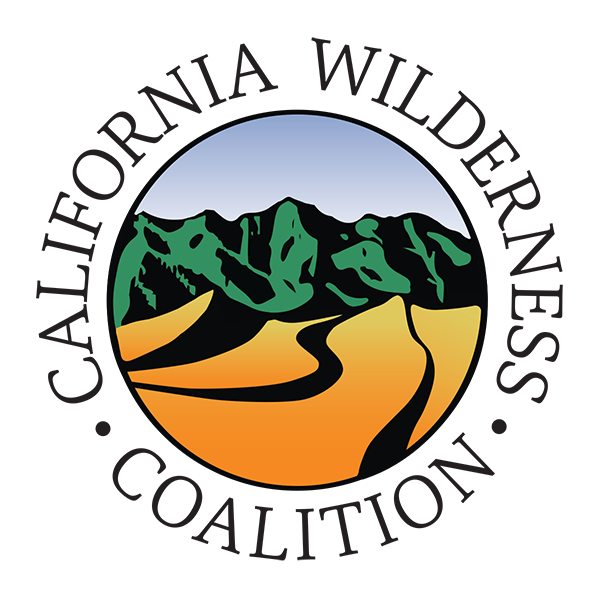 There was broad public support for the final plan, which struck a careful balance between lands available for large-scale renewable energy development, lands protected for their recreational importance, and lands managed for conservation of scientific, ecological, and cultural values across millions of acres of the desert. Despite this support, earlier this month the Department of Interior said it was going to reopen the plan (which was only finalized in September 2016) for revision, thus putting the important and much-needed protections at risk. So, once again, we will need to speak up for our desert treasure. Once again, we will need to remind federal decision makers about the importance of preserving this incredible landscape for generations to come. Californians have spoken, but DOI appears to be ignoring us. Perhaps we haven’t been loud enough or convincing enough. 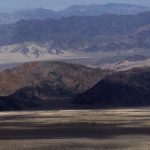 I’m especially offended by the hypocrisy of DOI: It claims to uphold the importance of local public input, but it apparently only listens when Utahans and others speak out against their BLM lands while ignoring Californians who have spent eight years crafting a plan that Californians want for their BLM lands. We need to tell DOI not to waste our tax dollars on an unwanted and unneeded amendment to the plan and to leave the plan intact. The comment deadline is March 22, 2018. Ridgecrest – February 27, 2018, from 5 p.m. to 7 p.m., Kerr-McGee Community Center, 100 W. California Ave.
Bakersfield – March 6, 2018, from 5 p.m. to 7 p.m., Bakersfield Field Office Auditorium, 3801 Pegasus Drive. The other meetings are listed here. I want those who come after us to be able to explore and enjoy the stark beauty of this place with its painted mountains, hidden springs and brilliant spring wildflowers. 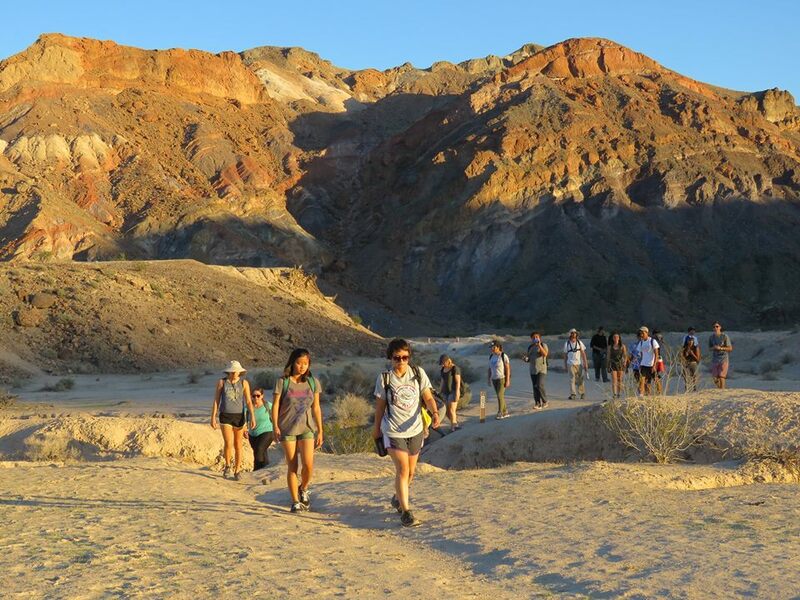 I want visitors to experience the excitement of seeing a chuckwalla, kangaroo rat, or threatened desert tortoise while they are exploring the desert. I want kids forever to be able to shine a UV flashlight on a scorpion and marvel that it glows, as I have. These are memories you carry with you for a lifetime. We are fortunate to have this amazing landscape so close by. We can never take it for granted. 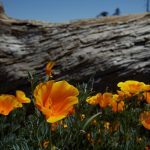 It’s up to all of us to again raise our voices for the desert and urge the administration to keep the Desert Renewable Energy Conservation Plan just as it is. Linda Castro is a nature enthusiast and animal lover. She is the Assistant Policy Director for the California Wilderness Coalition and serves on the board of the SCV-based Community Hiking Club. Her commentaries relate to California’s deserts.